Pro tip | You've Ruined a Perfectly Good Mystery! The first read-through of the script for You’ve Ruined a Perfectly Good Mystery! was June 9, 2010. 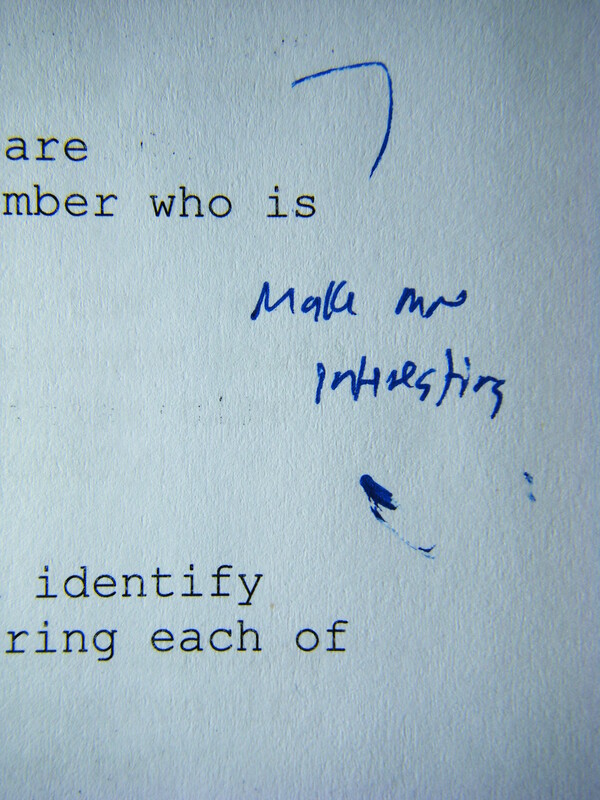 Below is a note co-author Christian Neuhaus took at that read-through, responding to an early draft of a scene.